Ah, the tormented life of a Microsoft employee. You spend a few years of your life nurturing a product, teaching it some new tricks, and before you know it you have to release it into the wild and start all over again. Coincidentally, Microsoft also seems to do a lot of hiring during that tumultuous switchover period, and its latest round of job postings have offered a few clues as to what we can expect in Windows 8, and when the company plans to focus on it in earnest. That will apparently happen at the start of the company's 2011 fiscal year, which translates to July, 2010 for everyone else. 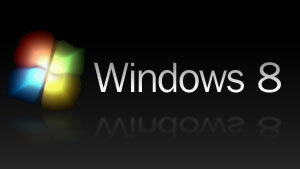 As for Windows 8 itself, it seems that Microsoft is particularly interested in finding a few folks to work on how Windows Update works in the latest iteration of the OS, including things third-party application updating, updating virtual machines when they're turned off, and delivery of full applications -- Windows 8 Server and a "new UX framework" also garnered a brief mention. Hit up the link below for some additional details, and links to the actual postings if you happen to be looking for a job.